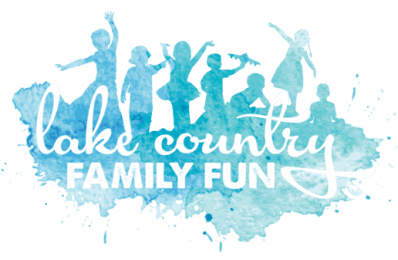 Lake Country Family Fun Has the Things to do! With Christmas over, we are the midst of a long winter until spring gets here. (And yay for a slightly white Christmas;) ) I would like to embrace the hygge effect, but the freezing temps and cloudy skies are hindering my inner lover of the cold 😉 Winter has definitely formed a tight grip on Southeastern Wisconsin, but we will not let that stop us from having fun even if it is freezing! We can still get out and have some winter fun with our families. In fact, there is so much to do this month, that I had a hard time choosing just 16 things to do in January! Check out these fun winter events and things to do in and around Waukesha County and Lake Country to fight the winter blues, and if you are looking for more, see our popular LCFF events calendar for a full listing of events for the month. 1. Take a hike or cross country ski! There are multiple opportunities to get out and take a brisk winter hike or cross country ski on January 1st through the Kettle Moraine State Forest! 2. FREE Zoo Day is on January 1st this year, check out the Milwaukee County Zoo for free! Don’t be scared to check it out in the winter, there are plenty of buildings to keep you warm in the chilly winter of January! 3. Take the Kids Sledding, find local hills with this handy winter sledding guide. 4. Head to the Corners of Brookfield for Winter Fest on January 12 and 13! It will be an amazing day of ice carving. 5. Lake Country Family Fun is a big fan of Lake Country Playhouse. If you are too, be sure to check out their open house, which is two days of FREE! 6. Check out a planetarium show at the Retzer Nature Center in Waukesha. It’s a great way to encourage learning on the weekend, while staying warm from the cold. My kiddos enjoyed the show and have been asking to go back ever since! 7. Watch a nearly FREE movie at Marcus Theaters through their Disney Enchanted Film Series. The Little Mermaid is showing January 25-27! It’s so fun to watch classics on the big screen! 8. Head to the first DELAFREEZE! Downtown Delafield has a new event and you’ll love it! Stroll the streets of Delafield watching ice sculptures come to life before your eyes while enjoying a hot beverage. 9. Go on a Candlelit Hike through the Kettle Moraine State Forest (Southern Unit) or a Candlelit Hike through Lapham Peak the following weekend. 11. The Waukesha Janboree has everything from Fireworks to Toboggan runs and everything in between. This is a fun winter community event for the whole family! Most of the events occur at Lowell Park, but you can find fun throughout Waukesha! 12. Go to the Sledding Party in Sussex. This is a fan favorite event – just add snow! 13. Check out the Elm Grove Winter Festival. 14. Enjoy a winter Farmers Market. Check out OCONOMOWOC, MILWAUKEE (THE DOMES), MUKWONAGO, and SUSSEX. 15. Take the whole family to ChiliFest in Oconomowoc. Oconomowoc throws the best community events. If you haven’t checked one out yet, don’t miss Chilifest! 16. Join the Winter Wildlife Adventure at Retzer Nature Center. Explore the environment and learn how to identify the tracks of different animal species and read animal’s activities. This event begins on January 5 and is held on select dates through February 23. Enjoy this winter wonderland with your family!